Heritage™ Gastric Protection Pills comprises premium-grade Chinese medicinal herbs that is gentle in nature and may be taken whenever required. It is used for the relief of nausea, hiccups, indigestion, hyperacidity, abdominal flatulence and distensions. 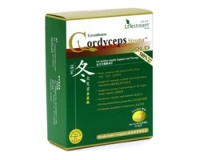 This excellent formulation consists of 6 'lead'+E8 herbs that are used intensively in Chinese Herbal Pharmacopoeia for invigorating and regulating the spleen-liver-gastrointestinal axis. Radix Ginseng, Largehead Atractylodes Rhizome, Liquorice Root, Cinnamon Root, Tangerine Peel, Rhizoma Pinelliae, Officinale Magnolia Bark, Fructus Amomi, Hawthorn Fruit, Germinated Barley, Hawthorn Fruit, Rhizoma Cyperi, Costus Fruit, Orange Fruit. These are blended by traditional methods in a base of pure winter honey. 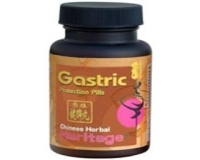 Chinese Herbal Heritage Gastric Protection Pills is manufactured in Singapore according to stringent cGMP protocols and, is registered and approved by Health Sciences Authority, Singapore.